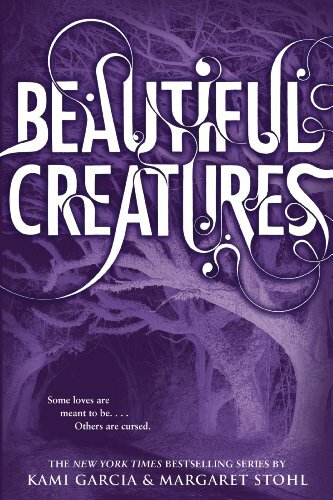 After reading Twilight, I was bracing myself for Beautiful Creatures, “another teenage paranormal romance story” I told myself, but I was presently surprised by Beautiful Creatures. 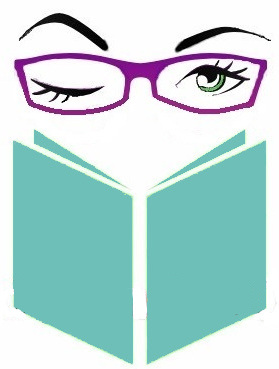 I’ve read a lot of YA literature, and while I enjoy it, I have grown tired of a lot of YA Lit tropes. The Dystopian government that must be toppled, the social commentary on peer pressure, bad representations of depression, the strong but vulnerable protagonist who learned (insert key skill) from their dead parent that they use to save the day! Don’t get me wrong there is something timeless about Harry Potter, Hunger Games, and The Program, but they have a lot of copycats. So I was pleasantly surprised when Beautiful Creatures gave me a classic Gothic tale. Gothic literature is what I loved reading during my late high school/ early college years (shout out to GCC’s Prof. Ruiz and her Gothic Lit class!) So reading this was a reminder of just how much I love Gothic lit. Beautiful Creatures really is the book that Twilight was trying to be: A classic Romantic Gothic/Southern Gothic novel. I loved it! Romantic Gothic novels usually focus on somewhere isolated, like a small town. There are eccentric characters, a romance with a stranger, and dark mysterious houses. More specifically, American Southern Gothic includes Hoodoo and the postbellum south’s lingering negative effects after the civil war. Beautiful Creatures has magic (not directly identified as hoodoo, but it’s hoodoo) Many characters are reviled to be players in a supernatural game of good versus evil. The eccentric, romantic, Lena has a dark family secret. She lives in a creepy dilapidated old plantation house. All hallmarks of Southern Gothic. Free will versus fate is a very big part of this novel, like many other Gothic tales. Lena has a ticking clock on her fate. She will either be claimed by the good guys or the bad guys and she has no power to choose for herself. . . or does she? How much control does Lena really have over her life? How much control does anyone really have? The battle of good versus evil is highlighted in this story. Set in the South, it’s not lost on the author that good and evil are relative terms. During the civil war, the Union was the “good guys” but when the union invaded the south, they also raped, pillaged, and burned down houses with women and children inside. It’s also important to remember that just because the union fought to end slavery doesn’t mean they wanted equality with black people. The Civil War was not just a simple matter of good versus evil. For many, it was a matter of pride. Back then, the state you were from meant something. It was part of your identity. Plenty of southern men went to war, not to defend slavery, but because they were young men from (insert any southern state here) and their mother state needed men to fight off the invading Union army! Some freed blacks even fought for the south because it was their home. In Beautiful Creatures, the main characters get caught up in a fight, but what the two sides are fighting for is not spelled out in this novel (I assume the sequels address that.) This element could have been flushed out a bit better, but it wasn’t a big deal for me like it was in The Maze Runner. On top of not really knowing what the two side’s endgames are, I could not follow how the rules for magic work. Some things like the rules for the magical library are well laid out, others like the price of magic, and how curses work are confusing. I know there are more books in this series and I will be reading them. Hopfully they are just as good.